Just a quick heads up. 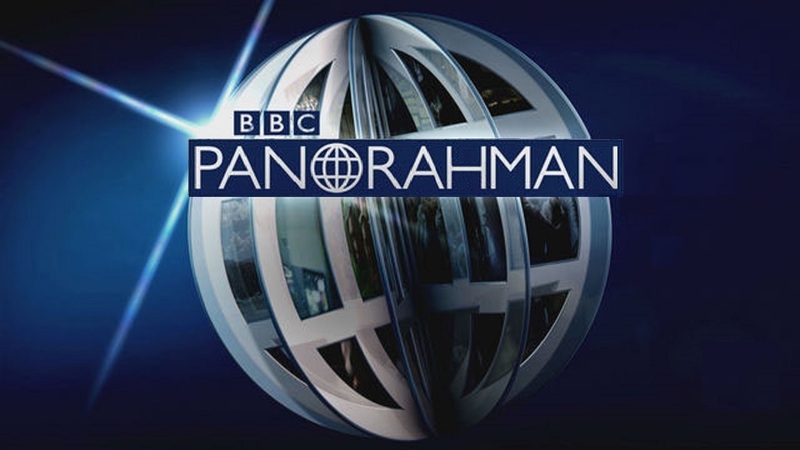 Apparently the Panorama team have been following our Mayor Lutfur Rahman and his team for around a year, and are about to publish their findings in a programme on Monday evening at 20:30pm on 31st March 2014. Apparently the Mayor and the council have been fighting the BBC team from showing the footage which is said to be very revealing. Again the council has been accused of stepping in and wasting money on huge legal fees to block the airing of the programme. I have been given a report recently as evidence that supports the allegations that show the corrupt practices of Poplar Harca and its treatment of the Lansbury West TMO. The Lansbury West TMO which ran the management of the Lansbury West Estate in poplar when stock transfer occurred under a controversial ballot, started to suspect for a number of years that they had been underfunded by Harca. When the TMO initially started the ball rolling, Poplar Harca immediately accused them of mismanaging funds to the tune of £150,000. Arguments ensued and with the agreements of both parties a full independent investigation was agreed and called for. Poplar Harca paid for half the funds for a forensic auditor to be brought in, the other half being paid for by central government, a Mr John McCormack was vetted and accepted by Poplar Harca as the forensic auditor. The report immediately revealed that Poplar Harca had been underfunding the Lansbury West TMO by around 1.4 million pounds. Upon reading the report Poplar Harca immediately withdrew all permission for the report to be published and tried their best to tarnish the report. The TMO went to their local MP at the time Jim Fitzpatrick, and also complained to the Government. Neither the MP or the government responded or even tried to help stating that this was a matter for Poplar Harca. Because Harca effectively held the copyright on the report, they put an immediate ban on any publications from publicising the report, and members of the TMO were threatened with legal action if they mentioned the reports contents publicly. Poplar Harca did accept that funding had been not appropriate and agreed with the TMO to a portion of the reports stated underfunding back to the TMO, a couple of weeks later it was revealed to the TMO that these repayments in the form of added debt would be added to the the following years rent and service charges on the residents, and not taken from existing rent/service charge collection, thereby putting the debt owed to residents back in the hands of residents. The TMO and residents who by this time had had enough of their landlord Poplar Harca, decided which is their right as a tenant management organistion to advertise for a new landlord. Within days, Poplar Harca illegally closed down the TMO offices and refused entry to all employees. That day the executive officers of the TMO ran to the high court and explained their case to a judge who agreed that Poplar Harca had acted illegally, and ordered them to return control of their offices back to the TMO. In the days that Harca had control of the offices, they accused the TMO of finding evidence of more mismanagement of funds and all executive officers were threatened with legal action unless their case against Poplar Harca was dropped. Members of the TMO started accusing each other of working for Poplar Harca as some had been revealed to have been accepting funds from the company for side projects. Also some had been offered huge sums of money for positions within Poplar Harca, some accepted, most declined. Under the threat and stress of legal action the board of the TMO agreed to disband the TMO under the promise from Poplar Harca that a ballot of residents a year later would occur, asking if they wanted another TMO. To this date a ballot of residents asking whether they wanted another TMO has never occured, and all land and offices of the TMO have either been built on or taken over by other organisations. Here below is the report that Harca funded and tried to ban.. Extremely concerned resident of Tower Hamlets. Fed up of whats happening to one of the most richly independent boroughs in the UK.